I found this shirt at the Salvos opshop in Glebe last weekend. 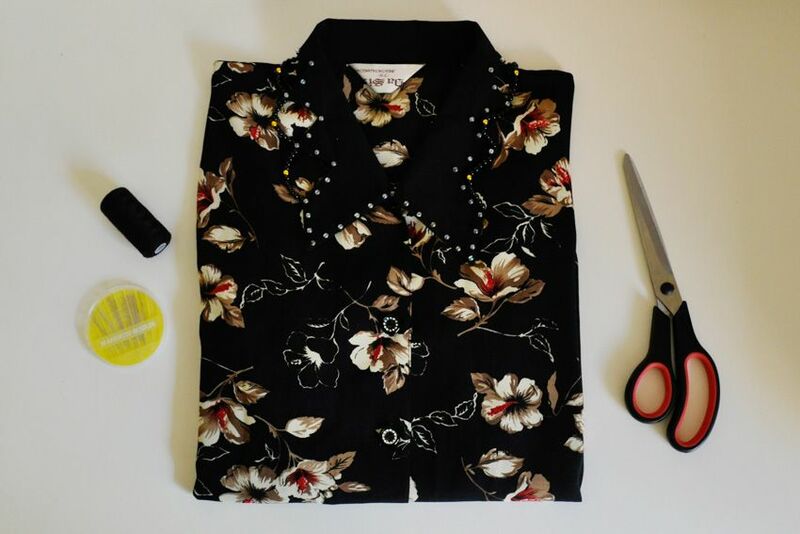 I wasn't terribly enamoured with the floral print but that amazing beaded collar caught my eye and immediately I knew what to do with it, DIY a detached collar to wear over other shirts and tops. You can see what I mean when I say it had an amazing collar. I've never seen anything like it before with its beaded bits and triangle cut outs, it really is rather unique. It was missing a few buttons here and there, for this photo I closed the shirt with a safety pin. Step one in DIY'ing is to gather your materials. 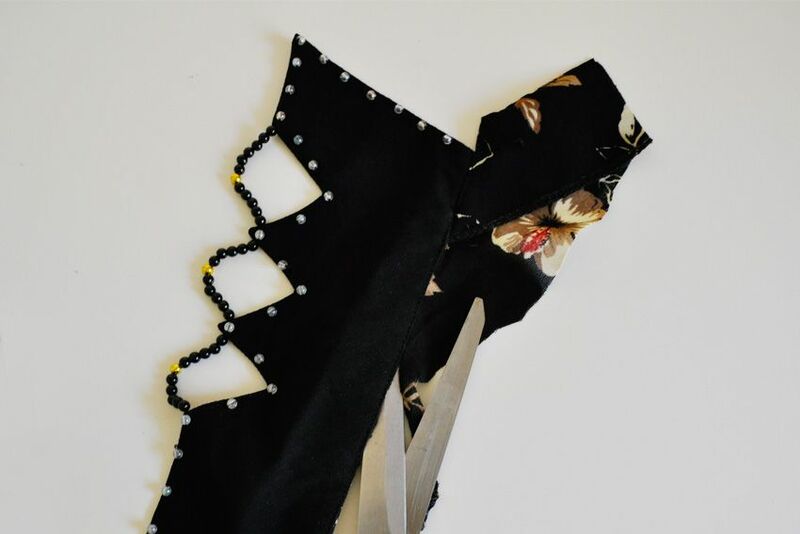 For this small project I just needed some scissors and a needle and thread. Step two was to cut away the shirt from the collar. I followed the hem line around the back of the collar and left a piece where the button hole sat so the shirt would still button up. 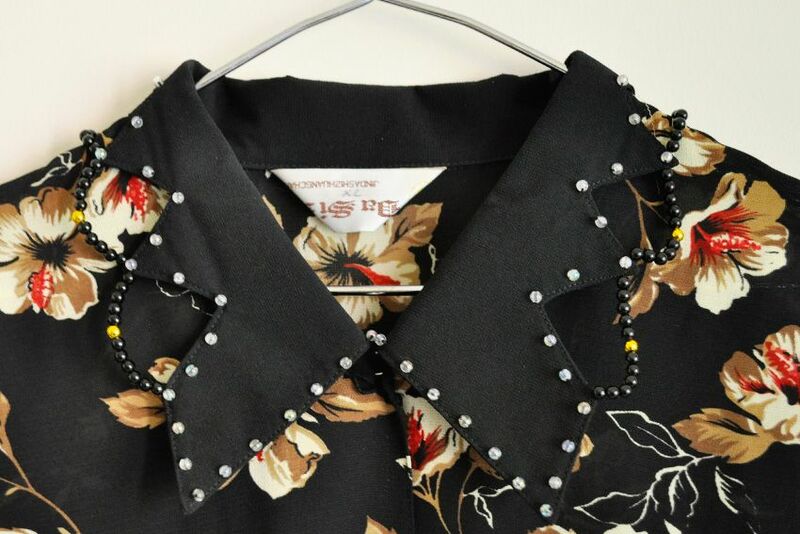 I sewed on one of the buttons from the shirt to fasten the collar. I then hand sewed the unhemmed edges to finish. That collar is AMAZING, seriously, I can understand why you couldn't pass up that shirt. I've never seen anything like it. Awesome diy, I may need to give something similar a try. Looking forward to seeing how you wear it. very cool collar. 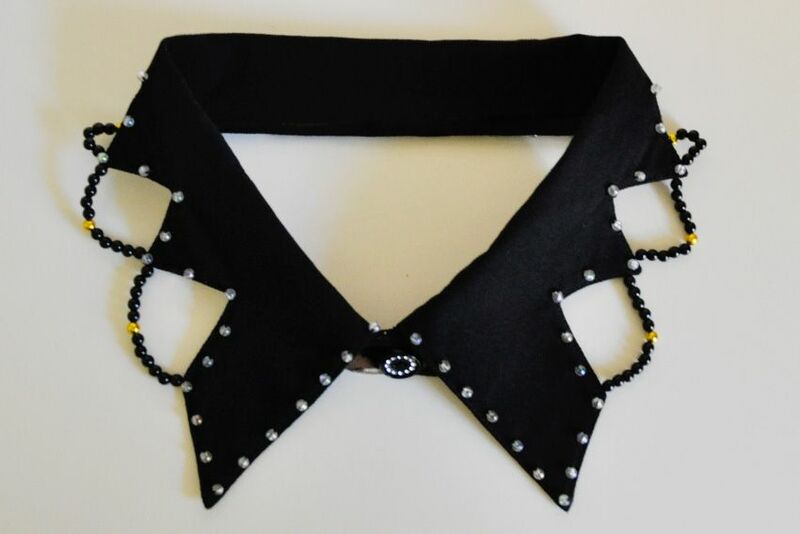 i'm all ove rthis DIY as now i can make sure the collar will fit my neck unlike most store made ones! the collar is beautiful but I quite like the whole top ;) awesome find! Great DIY, fantastic idea, however, the color of the beads doesnt pop because of the print, maybe different beads color? This would've taken me 5 hours, not 5 minutes :) What a great collar! Hehe, I've done this before, it turned out pretty cool. The collar you managed to find is freaking awesome though. 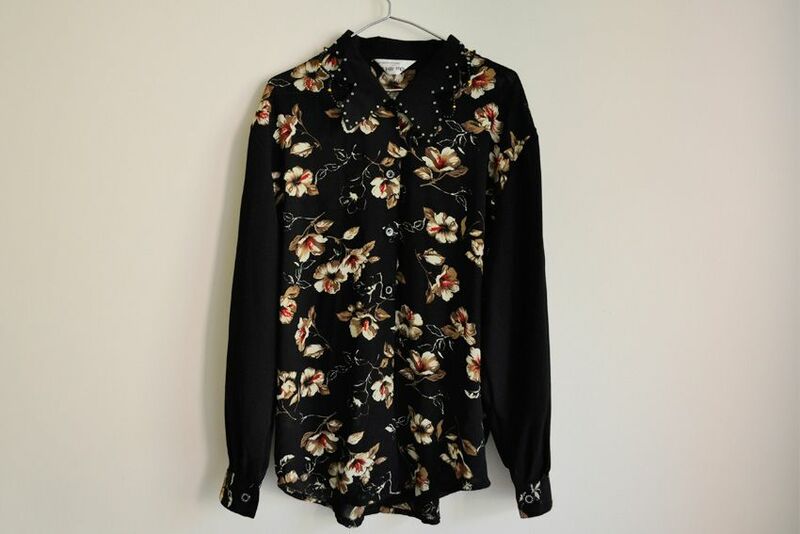 The buttons on the shirt are also pretty cool- Be nice on a plain black top. Off topic, I got a great Matisse art print fully framed from my local Salvos for $15- Could not believe it-Looks great!